This section contains architrave with less intricate, simple designs. These designs will provide a clean understated aesthetic to the perimeter of a doorway, while also being extremely easy to clean and dust - not being as intricate as other designs which can be prone to trapping dust. The reduced amount of detail also makes these shapes more durable, and perfect for busy areas of the house like corridors, hallways and kitchens. 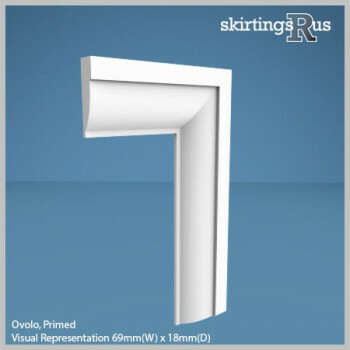 The simplicity of these architrave styles allow them to be easily applied to any interior design since they appear fairly generic, and allows for an easier installation. This makes them a favourite for the trade. Bullnose, Chamfer and Square architraves will always be top sellers for these reasons.